The Security Service of Ukraine (SBU) and the Prosecutor General’s Office (PGO) confirm the detention of the leader of a political party Ukrainian Union of Patriots – Ukrop, Hennadiy Korban, and declare that he is suspected of creating a criminal group, according to Olena Gitlyanska, SBU spokeswoman, and PGO spokesman Vladyslav Kutsenko, an UNIAN correspondent reported from a briefing in Kyiv. "Yes, information about the detention of Korban is true. He was detained among other suspects from a criminal group," said Gitlyanska. In turn, Kutsenko added: "We are now considering request for the immediate arrest of Korban, we are studying the question as to his leadership of this criminal organization." Kutsenko noted that the main articles of the Criminal Code of Ukraine, under which joint operation of the PGo and the SBU is being carried out are: Art. 255 (establishmen and activity of a criminal group), Art. 191 (embezzlement) and Art. 349 (kidnapping). Read alsoUKROP party says its leader Korban detained in Dnipropetrovsk"As you know, the detentions are being carried out, other proceedings proceedings, including searches and interrogations," said Kutsenko. He also stressed that there is no political component in this operation. "We do not care what political party the individuals under investigation and those detained represent; it is important for us is whether there is the fact of their participation in this organization, its criminal activity, or there is no such fact," said Kutsenko. Read alsoSBU, PGO on a large-scale raid in Dnipropetrovsk, over 500 officers involvedAs UNIAN reported ealier, the leader of UKROP party, Hennadiy Korban, was detained today by the SBU in Dnipropetrovsk. 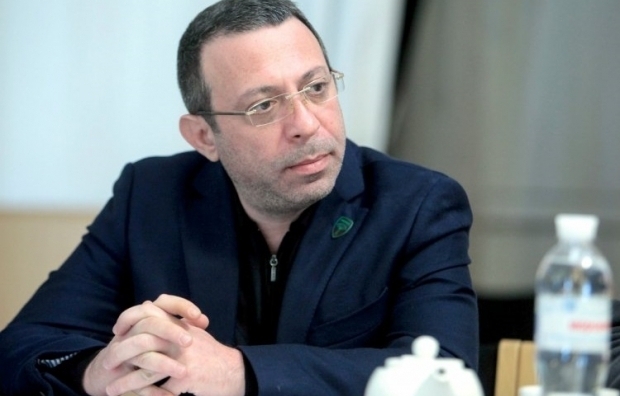 According to the press service, the searches are being conducted in the house of Korban’s parents, in the house of the leaders of the Foundation of the Country’s Defense Pavlo Hazan and Nadia Hazan, as well as in a public reception office of Boris Filatov, MP, a member of the political council of Ukrainian Union of Patriots – UKROP. According to Filatov, eight soldiers from the SBU’s Alfa special force took part in Korban’s detention. During the arrest, they did not show any documents. They also did not explain the grounds for detention of the politician and businessman.